How often do you come home from long day’s work, only to find your front door wide open and all of your candy missing? If you’re anything like us, this is almost a daily occurrence. Spending $3,000 on candy every year to refill our stash is unsustainable when you’re living on a starving artist’s income. And if you think buying new doorknobs every day is cheap, then you clearly have never been the target of the famed Candy Bandit. We’ve tried buying cheaper, less appetizing confectionaries, yet we have never found a candy that the bandit won’t eat. Enough is enough. It’s time we all take a stand against this sugar-munching fiend. How long have we been waiting for the perfect home security camera? We’ve reviewed many, but have rarely been impressed. The Remo+ was a cool device, which featured a unique spin on the category, yet had design downfalls that left us a little disappointed. The Reolink Argus 2 had great range and pretty video quality, but lacked several features which we consider vital for our security experience. We’ve been continually hunting for a surveillance device that meets all our techy needs, and we think we have finally found our soulmate. 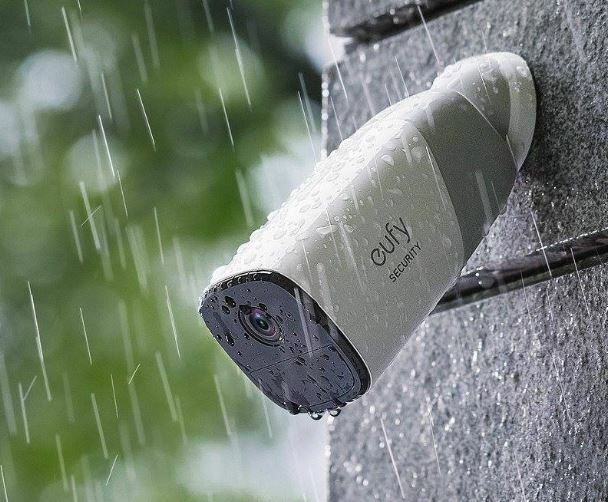 The EverCam by Eufy might just be the best all-around home security camera that we’ve ever reviewed. The device covers all our must-have features: 100% wire-free, HD video, two-way speakers, body and face recognition, long battery life, local storage and a lot more. Over the last few weeks we were able to take the EverCam for a test drive, putting the device through the wringer of our patented Review of Doom (this isn’t a real thing… yet). 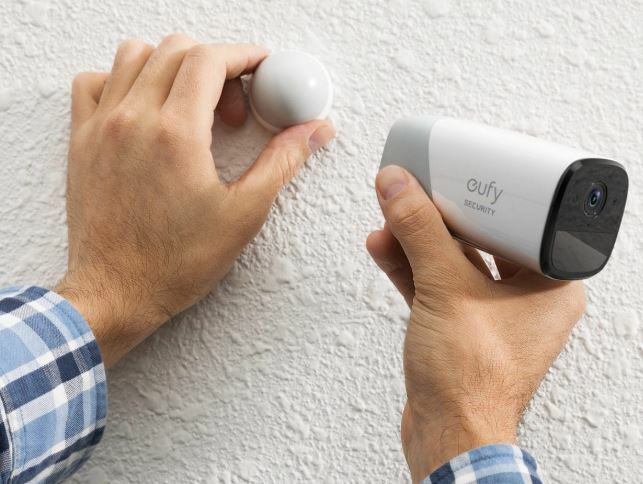 Here is our honest review of the Eufy EverCam. We’d be lying if we said we weren’t excited to unveil the contents of the EverCam’s packaging. Included in the box is the camera itself (obvz…), the HomeBase (which we will discuss in further detail a little later), a magnetic mount, a screw mount, power adaptor, USB charging cable and an ethernet cable. Just a quick note, the power adaptor will be available in 3 global configurations: U.S./Canada plug, U.K. plug and EU standard plug. 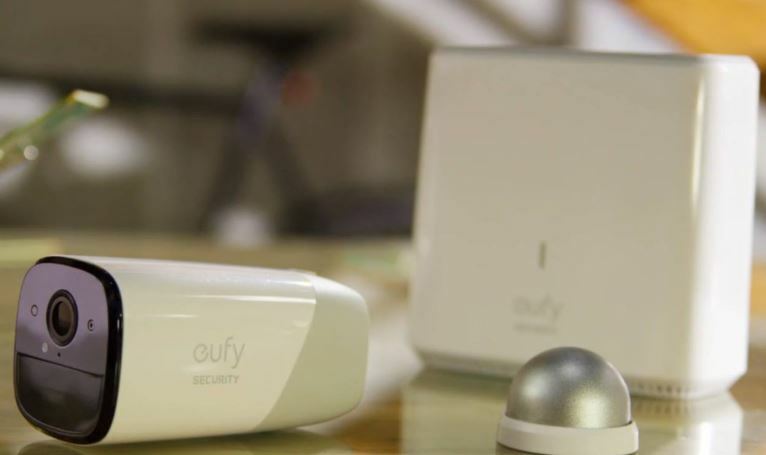 Eufy will automatically send you the right adaptor depending on your address. There’s no doubt that battery life is one of our biggest concerns when it comes to buying security equipment. We want to make sure that the device is always functioning the way it should be, because we know the second the battery dies, is when something bad is going to happen. Eufy partnered with Anker to include their newest battery technology to deliver startlingly long life. The EverCam’s battery lasts for a full 365 days, or 3 years in standby mode, without needing a charge. Hearing this left us floored. Even when it’s time for the device’s annual recharge, the EverCam features Quick Charge functionality, so you’re never without surveillance for long. We can’t even begin to tell you how good it feels to set-up the device, knowing that we won’t have to worry about it again for an entire year. Truly amazing. Setting up a home security system usually requires some sort of damage to be inflicted on your home. We’ve drilled holes and removed fixtures in the past, just so we could find a good angle. 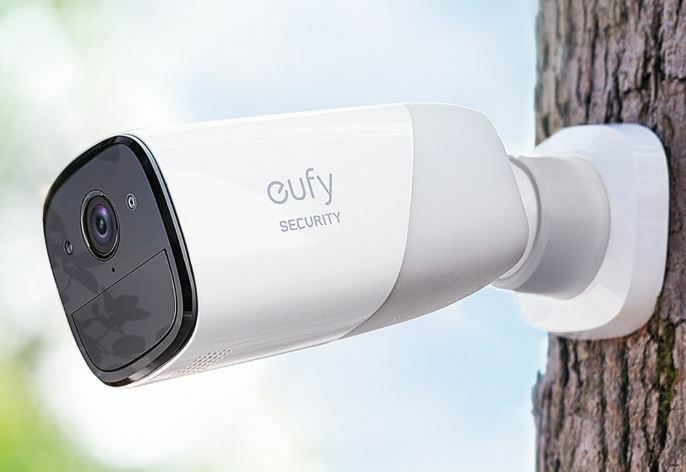 While the EverCam does ship with a screw mount, Eufy also includes a magnetic mount which will attach to pretty much any metallic surface without any holes being drilled. If you use the magnetic mount, the whole installation process takes about 30 seconds. And most of that time is spent looking for a shiny surface to attach it to. Truth be told, the screw mount will offer more stability and security – such is the nature of screwing stuff into other stuff – but we didn’t notice any discernible stability issues during our review process, and we stuck to the magnetic mount the whole time. 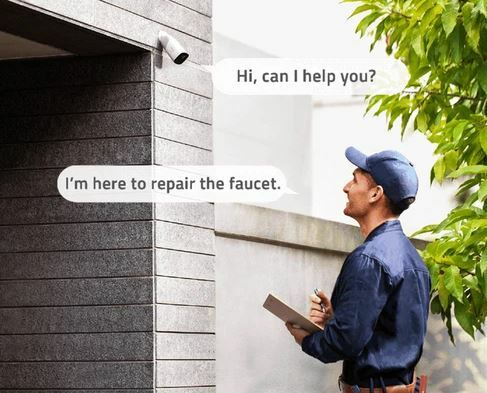 Most smart security cameras feature human recognition. For instance, they can tell the difference between a bird and a person (even people with particularly beak-ish snouts), which limits the number of false alarms and errant notifications. The problem with false alarms is that if there are too many of them, you can easily ignore an actual security risk. None of the other devices feature facial recognition. We were as curious as anyone as to how the EverCam would use its facial recognition technology. The answer amazed us. Yes, the EverCam can detect people as a general term, but it can also differentiate one person from another person based on their beautiful mugs. First, the camera uses infrared motion detection to detect motion and body heat (to make sure the moving object is a living being). Second, the device uses AI technology to determine if the figure is human or not. Finally, the human’s face is compared to the user’s database to determine if it’s a trusted face. You can then choose if you want the EverCam to send you notifications for all motion events or only when a stranger’s face is detected. All of these measurements are done behind the scenes in a flash, so there is no delay between the point that the camera senses something amiss, and the moment a notification pops up on your smartphone. 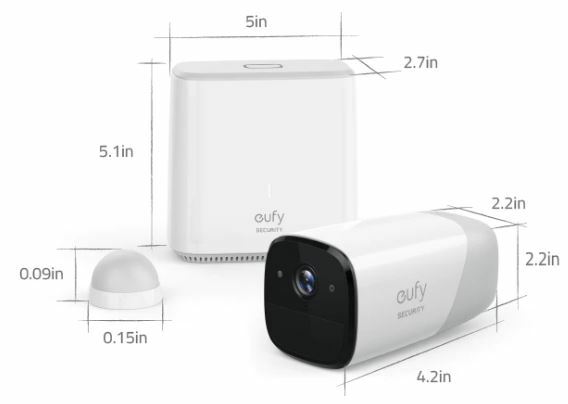 Eufy has equipped their EverCam with some serious optical hardware. For starters, the device features 140 degrees of motion, which beats every other competing device, most of which max out at 130 degrees. The extra degrees have a huge impact. Imagine the difference between a full screen DVD and a widescreen Blu-ray disc. That is the differential we’re dealing with here. Comparatively, the EverCam offers a panoramic view, which means no blind spots. In addition to a wide viewing angle, the camera uses a top-of-the-line Sony Exmor sensor and provides a large f2.2 aperture, which allows for 24-hour 1080p full HD picture quality. Daytime video looks bright and sharp, with no blurring or ghosting. The night vision footage is crisp and clear, using IR technology to provide pristine nighttime picture quality with a low-light range of about 33 ft. Many security cams on the market offer, at the very maximum, a 960p resolution. Having HD video could mean the difference between a blurred face and a face so clear that you can make out any scars or freckles. Since there is a high-probability that you’ll be using the EverCam outside, you’re probably curious about how it withstands the elements. The camera’s unique ASA composite material provides the EverCam with weather fighting skills that, frankly, leave the competition looking kind of silly. With a IP66 waterproof rating, the camera is protected from strong waterjets from any direction. The device also features a large operating temperature threshold, maintaining full functionality between a frigid -4°F (-20°C) to a scorching 122°F (50°C). Whenever we hear that a gadget is waterproof, we have the sudden impulse to whip out our Super Soaker and put the unbeknownst product to the test. So, we did exactly that. We tested the IP66 rating with some extensive Super Soaker action and a liberal amount of hose spraying. The EverCam did not even stutter. The device completely withstood the rigors of our weatherproofing test. One of the biggest fears we have with home monitoring is the risk of being hacked. There is nothing scarier to us than some skeevy hacker spying on our every move. 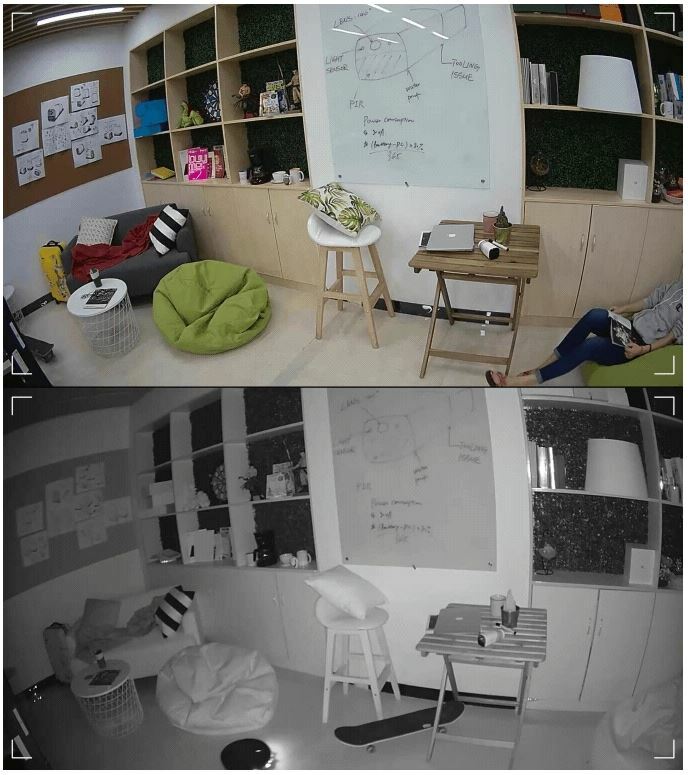 Eufy has devoted a lot of focus on the EverCam’s security. For starters, the device features bank-grade encryption local storage. The EverCam’s HomeBase features free local storage with a microSD card. The HomeBase will only record to the microSD card that is registered to your device, so even if some creep tried to swap yours out, it wouldn’t work. A 100 dB (about as loud as a jackhammer) anti-theft alarm sounds when the device’s accelerometer detects any forced movements. If there happens to be a power outage, HomeBase can operate on auxiliary power for two days, allowing the EverCam to record even without electricity. The camera and base station communicate through a low-frequency technology called HybridWave. This allows transmission even when the camera is in stand-by mode. We tested the power-free feature by using our circuit box to cut off all our electricity. As promised, the HomeBase kept chugging along, recording suspicious events and storing them locally. Eufy’s EverCam smartphone app is your gateway to the device. 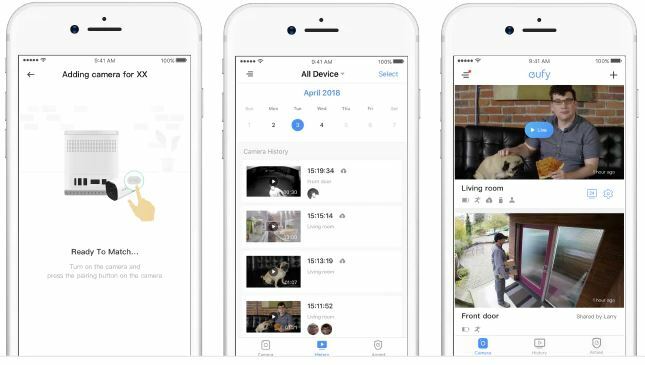 With the app, you can watch previous recordings and stream live footage from multiple rooms at once. The app is where you set all of your notification thresholds, allowing you to scan the faces of those you trust, leaving only nefarious characters at the camera’s mercy. The app took about 5 minutes to set up. The syncing is super-easy since it’s all done through your Wi-Fi connection. The notifications are just intrusive enough to let you know something is up. Once you receive a notification you can instantly review the video and tune in to a live stream. You can also use the smartphone app as a two-way receiver, allowing you to have a two-way conversation with anyone at your front door. Voices sounded great coming from both ends. We had no trouble understanding what the other person was saying. We can’t remember ever being as impressed with another gadget as we are with the EverCam. The device is everything we want out of a home security device and more. With its easy installation, magnetic mount, long battery life, facial recognition, beautiful optics, high security, impressive waterproof rating and smartphone integration, there simply isn’t a smart home monitoring camera on the market which offers these features at this price point. 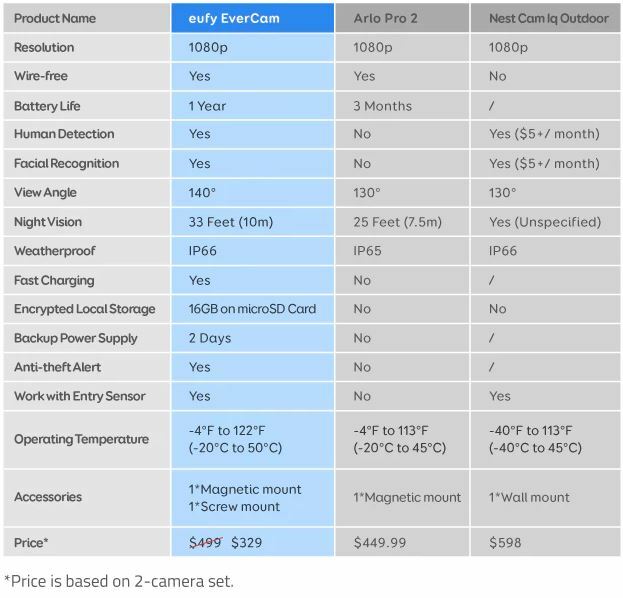 If you’re in the market for a new security system, EverCam is an absolute no-brainer. If you’re serious about keeping your family safe, get a device you can actually rely on. The EverCam is the most reliable gadget in its category. How can I buy this camera ? I’ve checked several sites, but none say anything about purchasing..